IMPRINT: Sat Nam Imprints is an imprint of Word Keepers, Inc. Word Keepers is dedicated to new and seasoned authors with socially conscious voices whose work does not fit typical mega-marketing projects. Having an awareness and understanding of the nuances of writers and their process is core to our publishing success. Our intuitive publishing team imbues skills that hold sacred the space for a trade book to come to fruition through mind and heart. Word Keepers, Inc. is a supportive, niche publishing house serving authors’ creative and intellectual properties. We create relationships… with authors, books, publishing professionals, vendors, and a global community of readers… all within an atmosphere that celebrates and honors individual uniqueness. 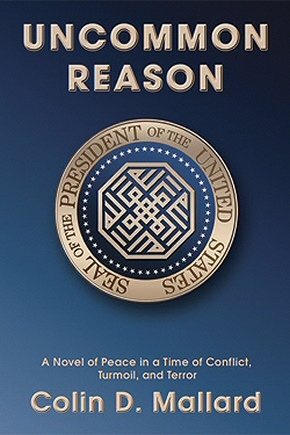 This suspense filled political thriller invites the reader down a path of possibilities, beyond the poisonous cycles of war. What leads a man to violence and beyond to peace? Professor David Tremaine, the most unlikely of characters to lead the most powerful free nation in the world, becomes the spokesman to answer that question. Laced with words of wisdom, this philosophy professor, equipped with only speech, becomes President of the United States during the turbulent times preceding 9/11. David Tremaine never expected to be drawn into a global scenario of intrigue, corruption, war, or terror. Ill equipped to lead a nation from the positions of force and violence, President Tremaine draws from his own spiritual well of a life lead by reason, compassion, principles of love, selfless service, and peace. Woven with these values, Uncommon Reason tells a tale to transform the individual, a nation, and a world. It is not a new story, but an old story of enlightenment—an antidote for lasting peace. ABOUT THE AUTHOR – Colin Mallard was born in England during World War II, and immigrated to Canada with his parents as a youth. While attending college in Boston, he was active in the Civil Rights and Peace Movements of the 1960s. During a peace rally at Boston Common, he witnessed the brutal beating of a demonstrator by police. His visceral response showed him his own capacity for violence, sharpening his desire to know and understand himself. He needed to know what gives rise to violence and, more importantly, to peace. His formal education focused on Philosophy, Theology, Literature and Psychology. A long-standing interest in spiritual matters drew him deeply, first into Western philosophy and then into Eastern philosophy, particularly Taoism and Advaita Vedanta. As understanding took place he found a deep sense of peacefulness accompanied it. He spent twelve years in the Unitarian-Universalist ministry and twenty-five years as a psychotherapist. 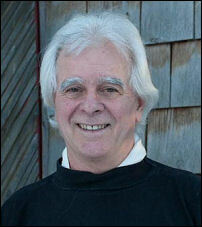 Today Colin spends his time engaged in writing, carpentry, soccer, photography and gardening. He travels on occasion, body surfs when he can, and lives in Canada with his wife. Proposes putting an end to terror and its counter force without violence or bloodshed. Readers who are in tune with today’s political environment and who are open to a path of possibilities beyond the poisonous cycles of war.